This Sci Fi/Action movie's story revolves around an ex-soldier, Alexander Biggs (Marshal Hilton) who's good fortune has seen him become a billionaire and created his own space exploration operation. His latest expedition returned with an extra terrestrial test subject. With his motive well and truly concealed he goes about recruiting some of his old soldier buddies to help him further his experiments. One such acquaintance is proving more difficult to get on side. Jack Adams (Gary Daniels) is living the quiet life with his "25 year old paint horse" and his "19 year old daughter" , when offered a job and an all expenses paid vacation by Biggs, Jack is dubious. However after Jack and daughter Laura Lee (Courtney Akbar) are strangely attacked and forced to flee their home he decides to take Biggs up on his offer. Once at the lab Adams is shown the scientific advancements they have made and is almost convinced to join them until discovering "Subject A" and finding out exactly what Biggs is up to. 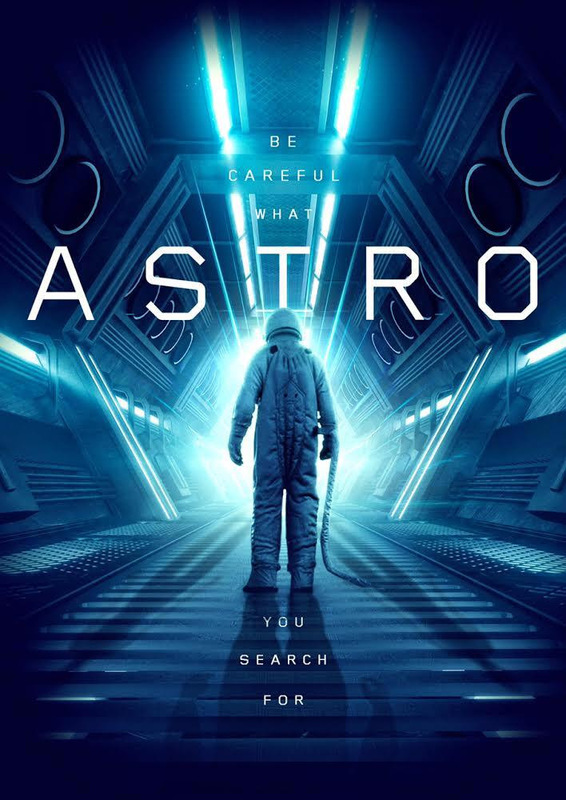 This movie tries to mix both types of sci fi, the more in depth scientific stuff with all out action and to be fair it doesn't do a bad job of it. The aliens don't play a huge part in the story but when they appear they are quite well done with an inoffensive shimmery Elvish appearance. As a low budget sci fi it's not surprising the FX look like they've come straight out of an episode of Star Trek: The Next Generation which straight away makes it looked dated. Acting wise it's more up then down but not without its issues. Gary Daniels is good in his role despite the dodgy accent but he is ruggedly good looking and his former kick boxing career stood him in good stead for some exciting fight scenes. Appearing in a number of indie horrors Marshal Hilton plays an effective villain in Alexander Biggs and it was great to see Spice Williams-Crosby take up a small role and have a hand in the stunt coordination. Other then that though the other characters were mostly disposable. The way the story flowed was muddled and confusing with way too much going on that went unexplained and appeared unnecessary. The home invasion that forces Jack to flee seemed to come out of nowhere and was never mentioned again. Also what the hell is going on with Bigg's son and the random connection with Adams and Subject A?? Both random additions to the story that end up just being weird. I'm assuming there is a possible sequel on the horizon, either that or it's incredibly lazy writing as the ending is bizarre, abrupt and leaves you with so many questions. My opinion is they should have just stuck with the one story line and it would've been a perfectly acceptable effort instead it left me feeling a bit baffled. In conclusion I didn't mind the FX, the aliens make up was pretty good. The fight sequences were great with even a slight attempt at horror with an albeit very dimly lit castration which was a bit misplaced but a welcome surprise none the less.